OOSS member benefits derive from the core advocacy mission of OOSS – articulating and representing the interests and contributions of the ophthalmic ASC community while providing meaningful and relevant information and resources. And in the process, OOSS provides opportunities for members to network with peers, share best practices and assume leadership roles amongst high-achieving professionals and high-performance centers. OOSS hosts two major events each year in partnership with the ASCRS/ASOA and AAO/AAOE. 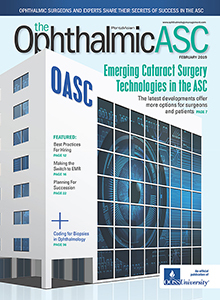 The spring event @ ASCRS examines major forces shaping the ASC industry while the fall event @ AAO focused on ownership, management and operational challenges of the day. A comprehensive update by OOSS Washington Counsel, Mike Romansky, J.D., is featured at each event and OOSS works closely with ASOA and AAOE to develop ASC oriented courses as part of their regular program. 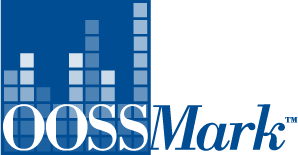 OOSSMark analytics provide OOSS member facilities with valuable measurement tools designed exclusively for the ophthalmic ASC, including the OOSSMark ASC Performance Metrics benchmarking platform, the newly launched OOSSMark Salary Survey and periodic topical surveys that address emerging industry issues, challenges and opportunities. From online continuing education courses to seminars, webinars, videos and publications, OOSS provides trusted education, information and resources to keep members current on clinical, business and regulatory matters. OOSSUniversity programs are developed and delivered with member input and utilize the expertise of members and industry experts. OOSSAdvantage is a two-dimensional program that includes information and resources for members to position and promote the advantages they represent to surgeons, patients, payers and the communities they serve. In recognition of the distinctive advantage OOSS members represent as high quality, high performance enterprises, OOSS Partners contribute their time, financial resources, premium services and related incentives to reinforce and support the OOSSAdvantage initiative.